PU: What is the most memorable Pens game you’ve called? ML: There's a couple of things. Probably the most memorable obviously would be that the Penguins won the cup for the first time in 1991 against the Minnesota North Stars. Game 6 was a game where the Penguins scored very early and Ulf Sammuelson scored from the left point. And the Penguins proceeded to knock down 8 different goals on the way and I still didn't believe until the final 30 seconds of that game that the Penguins were actually going to win the Stanley Cup. We had all been disappointed so many times that I didn't even have the heart to mention the fact that we were going to win a Stanley Cup. And obviously the joy that comes with it is something. I don't say its unfortunate anytime you win a Cup, but they won it on the road, and they won the second year on the road and they've never won one at home. So maybe that's in the cards for them someday to win one at the Mellon Arena or if its this new building so be it. PU: What was your favorite Pens season outside of the Cup years? PU: In your opinion, what has Sidney Crosby meant to the organization? ML: Well he has obviously brought a face to the Pittsburgh Penguins and he has immediately tied into this whole area and has been the face of the NHL since his arrival. He means a great deal. He created the value obviously financially to increase substantially. He's meant a great deal to this organization. It's kind of ironic that his landlord is Mario Lemieux and he has lived with him the first few years of his career. But that's pretty obvious that these two guys have really been a big part of what has made this franchise, including Lemieux from the 80's. PU: Who has had the biggest influence on your broadcasting style? ML: Well number one my mentor was Al McCoy who was with the Phoenix RoadRunners in the Western Hockey League and went over to the Phoenix Suns. He had the biggest influence on my broadcasting style. As far as listening, when I was younger Bill King who was the voice of the Oakland Raiders and also the San Francisco Warriors of the NBA. He had a big influence on me. Those were the two guys that have really been apart of my blood if you will as far as broadcasting games in the way they did them. And I like to think I do a lot of my games as they would. Bill King recently passed away and Al McCoy is still broadcasting games for the Phoenix Suns, and he would be 78, a young 78. PU: Did any of your phrases come as an accident that you ended up using regularly (via Rick Moldovanyi)? ML: Probably the only one that came as an accident was "Lets go hunt moose on a Harley." We were sitting in a blues club (I dearly love the music) and a friend of ours who worked for US Air at the time as a baggage handler and he had gone on a trip to Canada on his Harley. And another gentleman and I just kind of started talking asking, well where's Ron? He's hunting moose, and where is he in Canada, and what's he on, a Harley. So I just out of nowhere put the two and two together and said let's go hunt moose on a Harley. That's how that one came about. PU: Do you pre-plan your phrases for big events (Making the finals, Crosby's first goal) or do they just come naturally (via Rick Moldovanyi)? ML: Well certainly there is some input prior to those big moments. Yes, they don't just come totally off the top of your head, and there is a little magic to it. Sometimes you say things in the "heat of the moment" if you will that do come to you. But things are pretty much under control. When I use phrases they are pretty much settled in my mind as to how I want to use them if possible. But a moment can change that, so I like to think there is some spontaneity to it. But also know I have to keep physical track of it now because there are so many so that I don't use them over and over. That's called old age. PU: Who is Arnold Slick and where is Turtle Creek? Are they real (via IBBG)? ML: Well there's two things I don't mention, Loretta don't ask me about her. And secondly, how dare you even doubt that Arnold Slick lived in Turtle Creek. Now, I have to tell you, people have asked me this for years and years, but Arnold is a guy who doesn't like to be bothered so he has moved extensively in Turtle Creek from place to place. The last thing I heard on Arnold was that he lived in a tailor park on the North Side of Turtle Creek, but I'm not sure if he still there or not Damian. You'll just have to find out for yourself. Can't even belive you would doubt there was an Arnold Slick (laughs). PU: Can Pens Universe get its own Mike Lange signature phrase? ML: Oh my! You know one day many many years ago this gentleman from Canada gave me a phrase and I really was close to using it. Now I have given it away to one other broadcaster but it was an old gesture and I doubt that he even used it. But the phrase went like this and it caught my eye and I'm not so sure I may not someday use it. And the phrase was, "Fill my boots with stew....Fill my boots with stew." Ah, that would be one I'd give the Universe, yes I will. And don't be surprised if I use it someday. Alright Damian, Elvis has just left the building baby, see you later. This is priceless. Great job Damian. Great job scoring an interview with Mike Lange. Love listening to him on the radio for games. How'd you manage to get a hold of him? 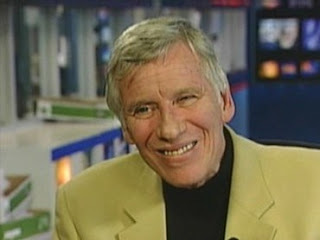 Can anyone explain why Mike Lange is still not doing the TV games? It is a ridiculous travesty. Can anyone explain how it is possible that Mike lange is still not doing TV games? It is a ridiculous travesty. I know it was considered a dis when they moved him to radio, but I think he is much better suited to radio. His great skill is the way you can tell from his voice what the action is--scoring chance, threat against, etc. He is a great guy. Once in the '70s we as kids went up to him at an Islanders home game. He could not have been nicer to us.